The government blocked over 200 websites, and an increasing number of legislative proposals have contained broad provisions for blocking webpages on national security grounds, often without requiring court orders (see Blocking and Filtering). Law enforcement officers and the Security Service of Ukraine raided the offices of Strana and Vesti, two Ukrainian online news outlets with pro-Russian stances (see Intimidation and Violence). Ukrainian authorities arrested a number of social media users, while Russian-backed separatist authorities in Luhansk sentenced a blogger to 14 years in prison (see Prosecutions and Detentions for Online Activities). In June 2017, Ukraine experienced the devastating ‘NotPetya’ cyberattack, which has been traced back to Russia (see Technical Attacks). In January 2018, some Ukrainian mobile operators received 4G licenses (see Availability and Ease of Access). Ukraine’s online environment remained tense in 2018 after a sharp decline in internet freedom in 2017. Ukrainian authorities increasingly blocked pro-Russian or pro-separatist webpages, while a devastating cyberattack in June 2017 destabilized government ministries, private companies, and vital infrastructure across the country. Ukrainian authorities have used the ongoing conflict to justify incursions on internet freedom. Several Russian platforms including Vkontake and Odnoklassniki have been blocked since May 2017, and state officials blocked over 200 more webpages during this reporting period alone. An increasing number of legislative initiatives have been proposed that would provide more power to the government to block webpages on broad grounds often without court orders. While the draft laws have not been passed, thanks to pressure from local civil society, these efforts showcase the government’s increasing determination to control the digital sphere. Content manipulation by trolls favoring both sides of the dispute have flourished on social media, and dozens of journalists, bloggers, and social media users have been prosecuted by both Ukrainian and de-facto authorities. Online journalists, bloggers and citizen journalists also continue to face digital and physical security threats. In June 2017, Ukraine suffered a massive cyberattack that was “felt around the world.”4 Russia is believed to be behind that attack. As part of response, Ukrainian MPs passed a new framework law on cybersecurity. Ukrainian civil society has a vital presence online. Activists used social media for a range of reasons, including to coordinate volunteer support for the military, stay up-to-date on developments in eastern Ukraine, assist internally displaced populations, encourage government oversight, advocate for human rights, and expose biased or manipulated information online. Internet penetration continued to grow in 2018. Access to the internet remains affordable for most of the population. The diverse market is no longer dominated by state-owned providers. Inevitably, Ukraine’s telecommunications market has suffered due to economic hardships in the country, the crisis following Russia’s annexation of Crimea, and the upheaval in eastern Ukraine. Infrastructure is more developed in urban areas, though the urban-rural divide has been narrowing slightly over time. Internet penetration in rural areas rose from 45 percent in 2015 to 52 percent in 2017, according to one estimate.7 Most people access the internet from home or work, though many cafes and restaurants provide free Wi-Fi. Access is also common in public libraries, schools, shopping malls, and airports. It has also become available in some public transport, like high-speed trains. Monthly subscriptions are fairly affordable for most of the population, with monthly fixed-line broadband costing as low as UAH 80-130 (US $4-5), and monthly mobile broadband costing as low as UAH 40-70 (US $1.50-$2.50) in 2017. Restrictions on connectivity are most common in the occupied LPR and DPR. A number of disruptions were reported during the coverage period, including in October 2017,15 which de facto authorities blamed Ukraine for disconnecting channels for data transmission,16 and in April 2018.17 In January 2018, Vodafone’s mobile telecommunications services, a remaining Ukrainian mobile operator functioning in LPR and DPR, were disrupted in the region.18 Representatives of the de facto authorities reportedly said that Vodafone would not be allowed to restore connectivity in the region due to political reasons.19 While the connection was partially restored in April, the situation remained unsettled.20 Some confusion exists surrounding the cause of the initial disruption and reasons for its continuation, particularly on whether the disruption was an infrastructural or political issue. There are dozens of local ISPs in the occupied areas, according to available reports. Intertelecom is reportedly the only Ukrainian ISP still operating in some parts of the occupied areas.30 Other Ukrainian ISPs were forced out of the region, and then some local providers took over remaining infrastructure and assets. For example, Komtel took over Ukrtelecom’s assets in Donetsk,31 while Fenix operates on Kyivstar’s network and infrastructure. The conflict with Russian-backed separatists in eastern Ukraine has driven authorities to censor online content perceived to undermine Ukraine’s standing in the conflict. Many Russian online platforms and websites are blocked as the Ukrainian government increasingly proposes legislation that would codify its blocking power into law. Despite the restrictions, the internet remains relatively diverse. Though pro-Russian trolls are active online, locals actively track and expose online manipulation attempts. Authorities on both sides of the conflict engage in online censorship beyond the limits of international norms. The Ukrainian government—which rarely blocked content in the past—now prevents access to several Russian-owned platforms and services, as well as websites deemed to contain Russian propaganda, while de facto authorities in LPR and DPR block Ukrainian news sources and other websites.34 Over the past two years, the government has been proposing an increasing number of laws that would provide more blocking power, signaling its efforts to further control online information. Social media platforms VKontakte and Odnoklassniki are blocked, as well as Yandex, the Russian-speaking world's most popular search engine, and mail.ru, a popular email service. ISPs were ordered to block them as part of a national security decree issued by President Petro Poroshenko in May 2017, which imposed sanctions against Russian companies.35 President Poroshenko claimed the measures were necessary to protect against cyberattacks and data collection by Russian authorities.36 A year later in May 2018, President Poroshenko implemented more sanctions that required ISPs to block 192 websites, including Russian and separatist online media outlets.37 Despite the ongoing blockings, Russian social media platforms remain popular due to the availability and increased use of VPNs to circumvent government censorship. Survey data from February 2018 suggested that VKontaknte, Odnoklassniki, and Yandex were among the top 10 most popular websites in Ukraine.38 Other international platforms such as Facebook and Twitter remain freely available and gained significantly more users following the Revolution of Dignity in 2014 (see Digital Activism). The Ministry of Information Policy has also asked the SBU to block websites. In May 2018, the Ministry requested that 21 websites be blocked for a range of reasons, including inciting inter-ethnic enmity and calling for violence.41 Another list of 20 websites were provided to the SBU in June 2017 for similar reasons. Many of the websites listed were publishing content sympathetic to de facto authorities in the occupied Donbas region.42 Some websites listed by the Ministry have reportedly been blocked by ISPs, although there has been no formal blocking order.43 Some copyright-infringing material is also blocked by a cyberpolice unit established in 2015. The Ukrainian government sometimes forces third parties to remove politically sensitive content. The SBU targeted web-hosting company NIC after the company failed to comply with a request to remove five allegedly anti-Ukrainian websites in April 2015. SBU officers subsequently seized hosting servers at four NIC data centers in Kyiv, causing 30,000 unrelated Ukrainian websites to go offline temporarily.55 No similar incidents were publicly reported during the period of coverage. Ukraine’s criminal code currently mandates punishments for “unsanctioned actions with information stored on computer devices or networks.”58 ISPs could be obligated to remove or block the offensive or illegal content within 24 hours. Online media in Ukraine is generally less constrained by economic pressure and owner interests than the mainstream media. The ubiquitous use of social networks, particularly Facebook, by journalists, politicians, and activists facilitates diversity and pluralism online. However, online journalists, commentators, and internet users have been pressured to self-censor, especially on topics related to separatism, terrorism, patriotism, and the Russian-backed insurgency in the east. Self-censorship has been more prevalent in Crimea and the parts of eastern Ukraine occupied by pro-Russian forces, where internet users and journalists have faced attacks,59 abuse, and intimidation for expressing pro-Ukrainian positions. Paid-for commentators and trolls have proliferated online.60 Some investigative reports suggest that Ukrainian political actors widely use companies, often officially non-existing, that propose social media management activities, including the whitewashing of political actors or conducting online attacks of opponents and critics. Such activities are usually conducted through networks of fake accounts and bots. One of the reports, for example, found that a group of Facebook accounts, which had traits common to ‘fake’ accounts, demonstrated unusually high activity on certain Facebook pages, including pages of the Ministry of Information Policy and other politicians.61 Analysis of those accounts’ activities showed that they often liked and shared the same content from Facebook users and pages that were not directly connected, which could suggest that the same network of fake accounts is used in multiple online campaigns. Available evidence suggests that these companies, and the services they provide, are quite diverse, and that a range of both local and national political actors employ these practices.62 Much is unknown about the operation of these campaigns, and their impact on public debate and opinion is questioned. Kremlin-aligned trolls actively target Ukrainian audiences on social media. In December 2017, the Washington Post reported Russia’s disinformation efforts to influence Ukrainian citizens prior to the 2014 incursion in Crimea.67 A classified report from Russia’s intelligence service detailed how Russian actors targeted Facebook and VK with fake accounts purporting to be disappointed with Western-leaning Ukrainians. The Ukrainian social media sphere, which expanded dramatically following the Revolution of Dignity, continued growing in 2018. Facebook in particular has become a crucial platform for debate about Ukrainian politics, reforms, and civil society. In January 2018, there were 11 million Facebook users in Ukraine, a 67 percent increase from the beginning of 2017.71 There was also a notable increase in Instagram users in the country, from 3.6 million in 2016 to 7.3 million by the end of 2017.72 However, Russian social networks VKontakte and Odnoklassniki remained blocked during the reporting period, inhibiting the potential for mobilizing on these popular platforms (see Blocking and Filtering). Authorities have cracked down on social media users in attempts to curb anti-Ukrainian rhetoric online, imprisoning users for so-called “separatist” or “extremist” expression. Physical violence remains a concern since the murder of renowned journalist Pavel Sheremet in Kyiv. Cyberattacks, predominantly initiated by foreign agents, have targeted various state agencies, infrastructure, and state registries, with the devastating ‘NotPetya’ hitting Ukraine in June 2017. There is no specific law mandating criminal penalties or civil liability for ICT activities, but other laws, such as those penalizing extremist activity, terrorism, or calls to separatism, apply to online activity. Article 109(2)-(3) of the Ukraine Criminal Code outlines jail terms of three to five years for public calls for violent overthrow of constitutional order and seizure of power.82 Article 110 of the Criminal Code criminalizes public appeals for the infringement of Ukraine’s territorial integrity, including any made online, with maximum penalties of up to five years in prison. Ukraine’s law on State of Emergency contains broad provisions that allow for the introduction of “special rules” concerning the connection and transmission of information through computer networks during a state of emergency.83 It is unclear what this provision could mean in practice, though it is likely to allow for some limitation in access to the internet. A cyberpolice unit within the Ministry of Interior was created in 2015 as part of a broader police reform that was largely welcomed.84 The unit was tasked with battling internet crime, including international money laundering schemes and digital piracy. As Ukraine remains a target for cyberattacks (see Technical Attacks), a new cybersecurity law was passed in October 2017 and came into effect in May 2018. The law outlines protection for “critical infrastructure” and communication infrastructure the government uses. It also introduces criminal liability for crimes conducted in cyberspace, which was previously not clearly regulated in domestic law.85 Additional legislation that will clarify certain measures in the cybersecurity law is expected in the coming years. Multiple internet users in Ukraine were fined, detained, or sentenced to prison for up to five years in recent years.86 Separately, separatist administrations controlling territories in the east sentenced a blogger to 14 years in prison in July 2017. In May 2018, Kyrylo Vychynski, a journalist for Russian state media RIA Novosti Ukraine, was detained and charged with treason for “subversive” reporting on Crimea and working with separatist groups.90 The SBU pointed to opinion pieces published on RIA Novosti Ukraine’s webpage as evidence for the charges. The office of RIA Novosti was also raided by the SBU (see Media, Diversity, and Content Manipulation). In August 2017, Zhytomyr-based freelance journalist Vasily Muravitsky was arrested for allegedly committing treason, threatening Ukraine's territory, supporting terrorist groups, and inciting hatred.94 The SBU reported that Muravitsky published anti-Ukrainian content on six Russian news websites and was an “information mercenary” for the Russian government. The SBU pointed to his contract with the Russian state news agency Rossiya Segodnya as evidence for the arrest. Muravitsky, who faced a maximum sentence of 15 years in prison, was reportedly released in July 2018 on house arrest. Authorities in the separatist controlled territories of Donetsk and Luhansk also prosecuted online journalists and bloggers. In June 2017, DPR’s de facto authorities detained Stanyslav Aseyev and reportedly charged him with espionage, which includes a potential 14-year prison sentence.97 Aseyev is a local journalist who has contributed to the Ukrainian service of RFE/RL under the name Stanyslav Vasin. There is little information publicly available about surveillance or communication interception. Generally, there is a lack of comprehensive legislative regulation to protect privacy and prevent abuse. The security services can initiate criminal investigations and use wiretapping devices on communications technology, but existing legislation, such as the Law on Operative Investigative Activity,98 does not specify the circumstances that justify these measures or the timeframe or scope of their implementation. There is currently no obligatory registration for either internet users or prepaid mobile phone subscribers, and users can purchase prepaid SIM-cards anonymously, as well as comment anonymously on websites where the website owner does not require registration. However, in July 2017, the State Service of Special Communication and Information Protection of Ukraine published a draft bill that would require mobile phone subscribers to register and mandate telecom providers to collect data on subscribers.101 After its release, the public criticized the bill, and parliament has yet to consider it. In November 2017, journalist Mykhaylo Tkach and his film crew were physically attacked by security guards while working for an investigative program called Schemes, a joint project of Radio Svoboda (RFE/RL) and UA:First TV Channel.106 The guards worked for Ukrainian politician Viktor Medvedchuk, who is known for his close ties with Russian president Vladimir Putin. On July 20, 2016, Pavel Sheremet, a veteran Belarusian journalist working for Ukraine’s Ukrayinska Pravda website, was killed in a car bomb explosion in Kyiv.107 Sheremet covered state corruption and the conflict in the east for the website, among other topics; he had endured state pressure and jail time during a career that spanned Belarus, Russia, and Ukraine. Sheremet’s colleagues at Ukrayinska Pravda believe he was murdered in retribution for his professional activity.108 The case remained unsolved in early 2018. Journalists reporting on the conflict face retaliation from both Ukrainian nationalist partisan forces and Russian-backed separatists. Both sides used the tactic known as doxing, deliberately publishing the target’s personal information to encourage harassment. In August 2016, a group of Ukrainian nationalist activists calling themselves Myrotvorets (Peacemaker) updated a public list containing the leaked contact details of thousands of journalists who were accredited to report in the self-proclaimed Donetsk People’s Republic,111 labelling them as “accomplices of terrorists.”112 Journalists on the list said the exposure obstructed their efforts to report objectively on the conflict, and several received threats.113 The doxing caused widespread consternation among the international media community,114 but met with little criticism from Ukrainian officials. Some, including Minister of Internal Affairs Arsen Avakov, applauded the move. Prosecutors in Kyiv investigated the leaks, though no progress was reported, and the list remained available online in early 2018. Ukrainian business, government websites, and national infrastructure frequently face cyberattacks. In June 2017 the country suffered from a massive cyberattack that affected dozens of state agencies and companies. In June 2018, the Ukrainian government warned of another large-scale attack from Russian hackers. In June 2018, Serhiy Demedyuk, Ukraine’s cyber police chief, claimed of another upcoming large-scale cyberattack after learning that Russian hackers were infecting Ukrainian companies with malware to install backdoors.120 Those reportedly targeted include banks, energy firms, and other Ukrainian companies. The Russian government has denied any involvement. 2 Tetyana Lokot, “Ukrainian Separatists Block 100+ News Websites in ‘Lugansk People’s Republic’,” Global Voices, January 14, 2016. https://globalvoices.org/2016/01/14/ukrainian-separatists-block-100-news-websites-in-lugansk-peoples-republic/. 5 "Укртелеком" Ахметова в ОРЛДО припиняє роботу через захоплення”, [Akhmetov’s Ukrtelekom stops operating in the occupied territories of Luhansk and Donetsk regions) Ekonomichna Pravda, March 1, 2017, https://www.epravda.com.ua/news/2017/03/1/622149/. 6 “В "ДНР" полностью перешли на российский интернет-трафик,” [“DNR” completely switched to Russian internet traffic] Strana.ua, March 7, 2017, http://bit.ly/2qM200A. 13 “Интернета в Донецке нет? Что предлагают местные операторы «ДНР»,” [No internet in Donetsk? What do local “DPR” ISPs offer] Novosti Donbassa, October 21, 2017, https://bit.ly/2Laq2gx. ; “Остання ниточка зв’язку: як зателефонувати на окуповані території Донбасу?,” [The last thread of connection: how to make calls to the occupied territories of Donbas?] Donbas Realii, https://bit.ly/2zHjVPB. 14 “Интернета в Донецке нет? Что предлагают местные операторы «ДНР»,” [No internet in Donetsk? What do local “DPR” ISPs offer] Novosti Donbassa, October 21, 2017, https://bit.ly/2Laq2gx. 16 “В "ДНР" признали, что Интернет получали из Украины, а теперь вдруг каналы отключили,” [“DPR” representatives recognized that received internet from Ukraine, while now the channels were suddenly cut off] Ostrov, October 10, 2017, http://bit.ly/2Fm53Z5. 17 “В ДНР пропали интернет и мобильная связь”, [Internet and mobile connection disrupted in DPR] Korresondent, April 14, 2018, https://bit.ly/2uzBdrT. 19 “В ДНР отказ от связи Vodafone назвали "политическим решением",” [DPR representatives said their refusal from Vodafone connection is a ‘political decision’] Korrespondent, February 23, 2018, http://bit.ly/2Ia7LP3. 20 Mikhail Popov, “Vodafone в «ДНР»: опять на чемодоанах?”, [Vodafone in “DPR”: once again ready to leave?] Donetskiye Novosti, June 4, 2018, https://bit.ly/2uzyiiU. 21 Jim Cowie, “Syria, Venezuela, Ukraine: Internet Under Fire,” Dyn Research, February 26, 2014, http://www.renesys.com/2014/02/internetunderfire/. 23 92.8 percent of shares sold to ESU, a Ukrainian subsidiary of the Austrian company EPIC. See “Укртелеком продан,” [Ukrtelecom Sold] Dengi.Ua, March 11, 2011, http://bit.ly/1Vq9ALT. ESU was acquired by Ukrainian firm System Capital Management in 2013. http://en.interfax.com.ua/news/economic/404675.html. 24 “Суд направил дело о реприватизации Укртелекома в первую инстанцию,” [The court sent the case on Ukrtelecom’s reprivatisation for retrial], Liga Biznes, July 5, 2018, https://bit.ly/2NQlQUN. 27 Olga Karpenko, “В Украине почти 55 млн абонентов мобильной связи,” [Ukraine has almost 55 million mobile subscribers] AIN, July 31, 2012, http://bit.ly/1FKMuIE. 28 Infocom-SK was founded in 1991 jointly by state-owned Ukrtelecom and Controlware, a German telecommunications company. Infocom, “History,” accessed on June 15, 2012, http://bit.ly/1FIrp1N. 31 “Интернета в Донецке нет? Что предлагают местные операторы «ДНР»,” [No internet in Donetsk? What do local “DPR” ISPs offer] Novosti Donbassa, October 21, 2017, https://bit.ly/2Laq2gx. 32 National Commission on Regulation of Communications and Informatization, accessed on April 5, 2017, http://bit.ly/1OaChbb. 33 Stas Yurasov, “Дзвінок з минулого. Суд почав відновлювати членів телеком-регулятора часів Януковича,” [A call from the past. The court started restoring members of telecom regulator from Yanukovych’s times in their official roles] Ekonomichna Pravda, July 22, 2015, https://bit.ly/2Lc8MuC. 35 “In new sanctions list, Ukraine blocks Russian social media sites,” Washington Post, May 16, 2017, http://wapo.st/2htxHN4. 36 “In new sanctions list, Ukraine blocks Russian social media sites,” Washington Post, May 16, 2017, http://wapo.st/2htxHN4. 37 “Указом про санкції президент незаконно зобов’язав провайдерів блокувати 192 нових сайти – «Лабораторія цифрової безпеки»,” [President illegally obliged ISPs to block 192 new websites with his decree on sanctions – Laboratory of digital security] Detector Media, May 25, 2018, https://bit.ly/2upjPH4. 39 Security Service of Ukraine, https://ssu.gov.ua/ua/news/1/category/2/view/3685#.2veayF96.dpbs; Net Freedom, “SBU blocks 10 sites for anti-Ukrainian propaganda” July 12, 2017, http://netfreedom.org.ua/sbu-zablokovano-10-sajtiv-z-antyukrainskoju-propagandoju/. 40 “З’явився перелік сайтів, до яких СБУ рекомендує провайдерам обмежити доступ. Позасудово,” [A list of websites recommended for blocking by SBU published. Without court decisions] Netfreedom.org.ua, December 11, 2017, https://netfreedom.org.ua/zjavyvsia-perelik-sajtiv-do-jakych-sbu-rekomenduje-provajderam-obmezhyty-dostup/. 42 Ministry for Information Policy, Ukraine, “List of prohibited websites,” accessed November 1, 2017, http://mip.gov.ua/files/pdf/perelik-saitiv.pdf. 43 “МІП планує на початку року розширити перелік сайтів, які слід блокувати,” [MIP plans to extend the list of websites to be blocked early next year] Detector Media, December 29, 2017, http://bit.ly/2GcQdkL. 50 Yuliya Zabelina, “Боротьба з неугодними або з Росією: що стоїть за доктриною інформаційної безпеки,” (Fight with unwelcome or Russia: what is behind the information security doctrine) Detector Media, March 1, 2017, http://bit.ly/2nYm9AB. 52 “Боевики «ДНР» блокируют интернет-сайты, выступающие против терроризма и сепаратизма,” [“DNR” fighters block internet websites speaking against terrorism and separatism] CRiME, September 30, 2014, http://crime.in.ua/node/6462. 53 “В "ДНР" ввели цензуру в интернете,” [“DNR” Introduces Internet Censorship] ZN.ua, May 30, 2015, http://bit.ly/1PQ7yO3. 54 Tetyana Lokot, “Ukrainian Separatists Block 100+ News Websites in ‘Lugansk People’s Republic’,” Global Voices, January 14, 2016. https://globalvoices.org/2016/01/14/ukrainian-separatists-block-100-news-websites-in-lugansk-peoples-republic/. 55 Anna Poludenko-Young, “Ukraine's Security Service Takes Down 30,000 Websites to Fight ‘Pro-Russian Propaganda’,” Global Voices, April 28, 2015, http://bit.ly/1M47yqs. 56 Baker McKenzie, Intermediaries Now Liable for Third Party Online Copyright Infringements in Ukraine, http://www.bakermckenzie.com/en/insight/publications/2017/05/intermediaries-online-copyright-infringements/. 57 “Між захистом і цензурою. В Україні регулюють інтернет-піратство досудовим методом,” (Between protection and censorship. Internet piracy is to be regulated by pre-court procedure in Ukraine) Net Freedom, April 3, 2017, http://netfreedom.org.ua/mizh-zakhystom-i-cenzuroju-v-ukrajini/. 58 Articles 361, 362, 363 of Ukraine’s Criminal Code, http://zakon1.rada.gov.ua/laws/show/2341-14/, page 11. 59 “У Луганську сепаратисти викрали журналіста і пограбували офіс інтернет-сайту,” [In Luhansk, separatists kidnap journalist, rob internet website office] Radio Svoboda, July 16, 2014, http://bit.ly/1MKcSSA. 61 Gala Skliarevskaya, “Минстець, Арбузов і Ляшко: что общего у политиков в соцсетях,” [Minstets, Arbuzov and Lyashko: what is common for politicians in social networks] Detector Media, March 19, 2018, https://bit.ly/2L1mJvY. 68 “The troll network,” Texty, October 4, 2016, http://texty.org.ua/d/fb-trolls/index_eng.html . 69 Aric Toler, “Inside the Kremlin Troll Army Machine: Templates, Guidelines, and Paid Posts,” Global Voices, March 14, 2015, http://bit.ly/1j3kMNw. ; Aric Toler, “Fake ‘Ukrainian’ News Websites Run by Russian ‘Troll Army’ Offshoots,” Global Voices, November 19, 2014, http://bit.ly/1P7EkfB. 70 Tetyana Lokot, “Ministry of Truth’ Recruits Ukrainians for ‘Internet Army,” Global Voices, February 25, 2015, http://bit.ly/1OJEyua. 73 LetMyPeopleGo, https://www.facebook.com/LetMyPeopleGoUkraine.en/. Accessed on August 1, 2016. 76 Tetyana Bohdanova, “Outing the Russian Military in Eastern Ukraine,” Global Voices, March 19, 2015, http://bit.ly/1O5Tp0r; Aric Toler, “Fact Checking the Conflict in Eastern Ukraine,” Global Voices, March 3, 2015, http://bit.ly/1YRnKVo. 77 Dostupno.UA, https://www.facebook.com/ДоступноUA-1617803701799770/. Accessed on August 1, 2016; “Користувачі соцмереж у різних шкарпетках підтримують людей із синдромом Дауна,” (Users of social networks support people with Down syndrome by wearing different socks) Ukrayinska Pravda. Zhyttia, March 21, 2017, http://bit.ly/2nrILfL. 78 “У листопаді стартує комунікаційна кампанія #ЯнеДаю проти корупції (ВІДЕО),” [Communication campaign #Idon’tbribe against corruption to be launched in November (VIDEO)] Detector Media, November 6, 2017, http://bit.ly/2tCqoYN. 79 “Women and digital advocacy in post Euromaidan Ukraine,” Global Voices, January 1, 2016, https://rising.globalvoices.org/exchange/2016/01/27/women-and-digital-advocacy-in-post-euromaidan-ukraine/. 80 Anastasiya Melnychenko, “The woman who wasn’t afraid to say it,” Meduza, July 8, 2016, https://meduza.io/en/feature/2016/07/08/the-woman-who-wasn-t-afraid-to-say-it. 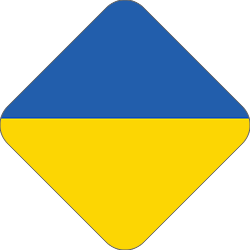 82 Criminal Code of Ukraine (2001, Amended 2016), http://bit.ly/2fzpeqb. 83 Legislation of Ukraine, State of Emergency http://zakon3.rada.gov.ua/laws/show/1550-14. 84 Tetyana Lokot, “Watch Out, Internet! Ukraine Is Getting Its Own Cyberpolice,” Global Voices, October 12, 2015. https://globalvoices.org/2015/10/12/watch-out-internet-ukraine-is-getting-its-own-cyberpolice/. 86 Isaac Webb, “Ukrainian Social Media Users Get Five Years in Prison For ‘Supporting Separatism’,” Global Voices, February 7, 2017, http://bit.ly/2oNREAt. 94 CPJ, “Ukrainian journalist in custody on anti-state charges,” August 2017, https://cpj.org/2017/08/ukrainian-journalist-in-custody-on-anti-state-char.php; RSF “Two more victims in Ukraine’s information war,” https://rsf.org/en/news/two-more-victims-information-war-ukraine. 96 RSF “Two more victims in Ukraine’s information war,” https://rsf.org/en/news/two-more-victims-information-war-ukraine; “В окупованому Луганську затримали блогера, який відкрито підтримував Україну,” (Blogger who openly supported Ukraine was detained in occupied Luhansk) 112, November 30, 2016, http://bit.ly/2pfenld. 98 Law of Ukraine on Operative Investigative Activity, http://zakon5.rada.gov.ua/laws/show/2135-12. Accessed on August 1, 2016. 99 NCCI, Rules for Activities in the Sphere of Telecommunications. 100 Oleg Shynkarenko, Зашморг на інтернет [A Noose on the Internet], INSIDER, January 8, 2014, http://www.theinsider.ua/business/52bac42dd8f4d/. 103 Net Freedom, “New searches of Strana.ua and Vesti,” August 11, 2017, http://netfreedom.org.ua/novi-obshuky-strana-ua-ta-lypnevi-obshuky-vestej-chomu-sylovyky-neefektyvni/. 105 “Ukraine charges Russian journalist with treason,” Deutsche Welle, May 16, 2018, https://www.dw.com/en/ukraine-charges-russian-journalist-with-treason/a-43816675. 107 Christopher Miller, “Prominent Belarusian-Born Journalist Pavel Sheremet Killed In Kyiv Car Blast,” Radio Liberty, July 20, 2016, http://www.rferl.org/a/ukraine-journalist-pavel-sheremet-killed-car-bomb/27868777.html. 108 Alec Luhn, “Car bomb kills pioneering journalist Pavel Sheremet in Kiev,” The Guardian, July 20, 2016, https://www.theguardian.com/world/2016/jul/20/ukraine-journalist-pavel-sheremet-killed-kiev-car-bombing. 111 Миротворец” оприлюднив новий список журналістів,” (“Myrotvorets” published a new list of journalists), Detector Media, August 20, 2016, http://bit.ly/2phJ7lF. 112 Aric Toler, Tetyana Lokot, “Ukrainian Activists Leak Personal Information of Thousands of War Reporters in the Donbas,” Global Voices, May 11, 2016, https://globalvoices.org/2016/05/11/ukrainian-activists-leak-personal-information-of-thousands-of-war-reporters-in-the-donbas/. 113 Halya Coynash, “Ukrainian journalist who twice confronted Putin targeted by Myrotvorets Centre vigilantes,” Human Rights in Ukraine, May 25, 2016, http://www.khpg.org/en/index.php?id=1464127138. 114 “Journalists fight back against Ukrainian activists who doxed thousands of war correspondents in the Donbas,” Meduza, May 11, 2016, https://meduza.io/en/news/2016/05/11/open-letter-demands-ukrainian-action-over-publication-of-undercover-journalists-information. 115 «Diversity interrupted: anti-gay crusades mar Ukraine’s tolerant façade,” Global Voices, May 12, 2017, https://globalvoices.org/2017/05/12/diversity-interrupted-anti-gay-crusades-mar-ukraines-tolerant-facade/. 116 “Cyber attack hits Ukraine then spreads internationally,” June 27, 20167, https://www.nytimes.com/2017/06/27/technology/ransomware-hackers.html?mcubz=1&_r=0. 117 “Cyber attacks on Ukrainian government and corporate networks halter,” Ukrinform, June 28, 2017, https://www.ukrinform.net/rubric-polytics/2255698-cyber-attack-on-ukrainian-government-and-corporate-networks-halted.html. 121 “Українські кібер війська” за три роки заблокували 173 сайти терористів,” (Ukrainian cyber forces blocked 173 websites of terrorists over the course of three years), Detector Media, March 10, 2017, http://bit.ly/2ofBooQ. 122 “Росія розв’язала кібервійну проти України - Порошенко,” (Russia launched a cyberwar against Ukraine - Poroshenko),TSN, December 29, 2016, http://bit.ly/2oW7UMJ. 123 Roman Hankevych, “Мінінфраструктури назвало організаторів хакерської атаки на інформаційну мережу “Укрзалізниці”,” (Ministry of Infrastructure named organizers of hacking attack on information network of “Ukrzaliznytsia”), Zaxid.net, December 15, 2016, http://bit.ly/2ofS5lA. 124 Yuliya Polikovska, “Сайти міністерства інфраструктури України і Державіаслужби не працюють,” (Websites of the Ministry of Infrastructure and State Aviation Service do not work), Zaxid.net, December 16, 2016, http://bit.ly/2nvi4GI. 125 “Жодна DDoS-атака на держреєстри не була успішною і не призвела до зміни даних,” (None of the DDoS-attacks on state registries was successful and didn’t affect the data), Interfax Ukraine, February 13, 2017, http://ua.interfax.com.ua/news/general/402947.html. 126 Maya Yarovaya, “Порошенко утвердил стратегию кибербезопасности Украины и создание координационного центра кибербезопасности при СНБО” [Poroshenko finalizes Ukraine’s cybersecurity strategy and creation of coordination center for cybersecurity within NSDC], AIN, March 17, 2016, http://ain.ua/2016/03/17/638654.